There are some things in the home that we just take for granted. The humble three pin plug and socket are amongst them. The ability to access electricity safely in a wide range of environments moved us on from steam as the main source of power for industry. In our towns and cities electricity powered trams, underground railways and telegraphs. In the home it provided a cleaner and more convenient alternative to gas lighting. As more domestic electric home appliances became available, connection to the electricity supply using light fittings wasn’t safe or practical. Following some early two-pin solutions in the late nineteenth and early twentieth century, an earthed three pin plug was launched in 1911 and the first British Standard was published in 1928, including specifications for plug and socket sizes. Standardisation seems an obvious requirement to us now, but various formats, sizes and shapes were a big problem at the time. More importantly, by 1934, the standard was updated to include earthed contact and a shuttered socket. The British Standard three-pin socket is widely recognised as one of the safest in the world. 1940s post-war reconstruction led to further improvements and standardisation and introduced the British ring circuit system in 1947. 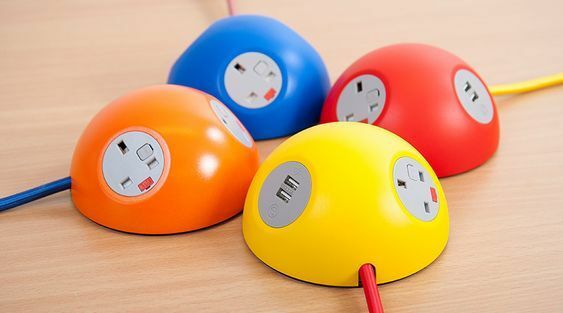 Today the internet and mobile devices have introduced a whole new range of plugs and charging connections. USB charging ports are now common in many electrical sockets. USB sockets with Dynamic Device Recognition (DDR) ensure that each device recognises the socket as if it was its own charger, drawing current in the way that best suits its design. What’s next? Collaborations between smart home, security and automation providers are now introducing new concepts. Delivering power to smart locks, cameras and sensors is the latest challenge. Wireless power for smart homes and businesses could be the solution.